13 Rowi take home 3rd! Way to go team!!!!! Do you want to become a more complete volleyball player? Would you like to be a better passer? Develop better ball control? Improve your defense? Become a more effective and dynamic attacker? Do you want to return to the gym in the fall moving faster, jumping higher and playing with greater agility than you ever did before? If any of these results sound good to you then you should play and train for beach volleyball. KnockOut Volleyball is a game changer. KnockOut Volleyball changes all that, bringing the game we love to the under-served players of our community. Great coaching and the full club experience without the hefty price tag. Club volleyball for hundreds of dollars a season instead of thousands. This is only possibly due to the generosity of our sponsors. 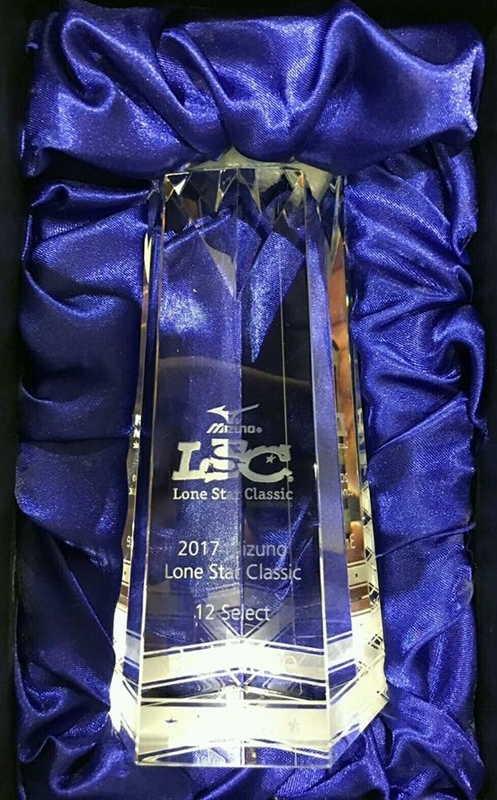 Our first LoneStar Tournament win goes to 12 Kiwi. Volleyball Superstar Haley Eckerman ran our “New Legends will Rise” clinic and is now serving as the spokes person for our club. You can read more about it in The Statesman. Thanks so much to people like Jeff and Thia, and the KnockOut Volleyball program for willing to help others . . . people who need people! ... When he delivered his message about Knockout Volleyball it seemed too good to be true ... We recognize what an amazing opportunity this is in her life. ... She got defensive player of the game and the coach asked her to join the team. She fell in love with it and hasn't stopped playing since ... Knockout for Life!! Our daughter played volleyball for two years with the YMCA and not until I was referred to KnockOut Volleyball did I notice the difference with the various techniques of the sport. She is much happier and very excited to learn what her capabilities are with volleyball. As parents we are excited for the future with the organization and the opportunity for our daughter. ... hearing their mission and goals we knew this would be a great opportunity for my daughter to continue the sport she loves at an affordable rate. 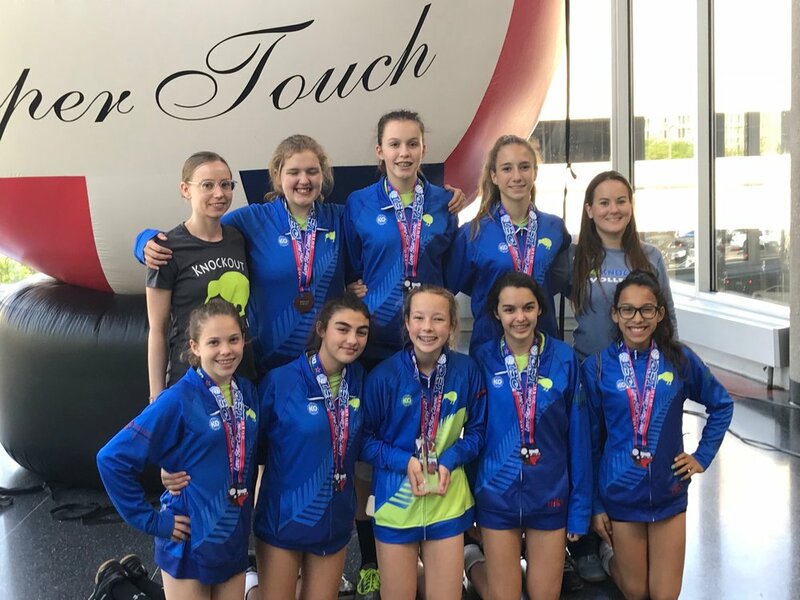 Knockout Volleyball club gives her the opportunity to receive additional training, play against high level competition and receive advanced coaching at a fraction of the cost that the majority of club teams charge. We would not be able to afford to take her to the next level of advanced play without KnockOut Volleyball. ... By encouraging, pushing and striving for her to be a stronger and better player as well as prepare to compete at the next level ... In the past month, we have seen what a great program KnockOut volleyball has the potential to be for girls in the area. ... KnockOut Volleyball is good for my child because she gets to meet different girls with in the volleyball community and around the area. I also know that in the future it will help her possibly with a scholarship for college. ... I am so proud that I can finally give back to her, by giving her the chance to do something that she loves, since she has given me the gift of being such a wonderful daughter! I would like say that God answered my prayers when I received a message about tryouts for KnockOut Volleyball. I'm truly thankful to God He placed it on Jeff Coward's heart to want to give the girls who had a true passion for the game of volleyball to play the game they truly love. It now allows my daughter and other girls the opportunity and for that I'm grateful and I thank him from the bottom of my heart!